Another year, another crazy week of trailers, reveals and announcements on the latest in gaming – E3 2016 has (sadly) come to a close. There have been some incredible reveals from almost every big name that attended, including games that have long been thought of as dead in the water (looking at you, The Last Guardian). If you’d rather not fall down the rabbit hole in search of EVERYTHING that was announced, here’s our picks of stuff that really caught our eye at E3 this year. Almost as if intended to pull the rug from under Sony’s feet, Microsoft stunned the crowd when they announced a new mid-generation refresh of the Xbox One console. Currently codenamed ‘Scorpio’, this new slice of hardware has been created to embrace the growing trend of VR technology and 4K Ultra HD displays. 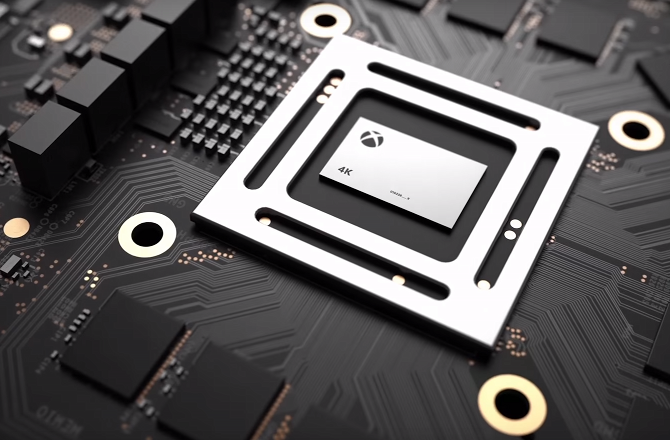 Microsoft claims that Scorpio will push approximately 6 teraflops of processing power (a huge leap from the Xbox One’s 1.31 teraflops), which they say is enough for high fidelity 4K and VR gaming. There’s a fair bit of speculation whether this will truly suffice for a full-fat 4K or virtual reality jaunt, but if the Scorpio can deliver it’ll no doubt be a runaway success. This announcement comes not long after Sony confirmed that the PlayStation Neo project was indeed real and would be attempting to provide a sturdier 4K and VR experience than the current console. Specifications have already been revealed about the machine and, if the Scorpio’s are anything to go by, the PS4.5/NEO is going to struggle to compete. Microsoft has been quick to note that all current games and peripherals will be compatible with Scorpio, meaning you won’t have to start your library from scratch again to stay at the top of the hardware curve. This is certainly a product for the enthusiasts among us, so for any gamers running with 1080p displays, this one might just pass you by. Xbox Scorpio is currently pegged for a 2017 holiday season release. The Xbox One S was also revealed – a slimmed down redesign of the current console – and is set to be on sale this August. If you haven’t already realised, virtual reality is a serious thing now. There has been some pretty weird and interesting attempts over the years but never has a legitimate heir to the VR throne been available. With a range of experiences now on sale, from the heavyweights Oculus Rift and HTC Vive to the more affordable Samsung Gear and Google Cardboard, there’s finally widespread access to this revolutionary tech. The PlayStation VR experience floats somewhere in the middle, delivering a similar feel to the PC-only counterparts at a fraction of the cost. 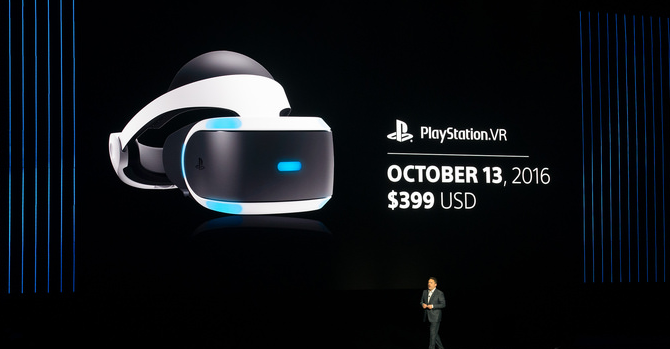 Of course, the technology used isn’t quite as profound and the PS4 is hardly the best device for the task at this point, but it’s going to be the most direct way for many to get their first taste of the new experience available through virtual reality. Sony needs to make sure that performance is acceptable, as VR uses far more resources than a typical 1080p experience. Think of running 2 games at once (one for each eye) and then running those games 1.5x faster than current requirements (ensuring smooth framerates to avoid motion sickness) – that’s a blunt analogy for the kind of pixel-pushing power you need to enjoy an authentic VR experience. Considering that current-gen consoles struggle to deliver 1080p resolutions, let alone at 60+ fps, it's a puzzle to figure out what kind of wizardry is occurring to make VR actually work on a PS4. Of course, the Neo project should help to remedy these concerns, but once you’ve bought a whole new console, new VR gear, the motion controls, PlayStation Eye camera and a few games to boot, the value proposition starts to become a hard-sell. If you do want to join in with Sony’s VR offering, there’s been a bunch of great reveals to whet your appetite. EA are delivering a Star Wars VR mission for the Battlefront franchise – yes, you can fly in an X-Wing in virtual reality, Batman Arkham VR has the Joker grinding your gears in first-person, and Final Fantasy XV VR Experience puts you in the shoes of supporting character Prompto to do a bit of gunslinging. The PlayStation VR has a launch date of 13th October 2016 at an MSRP of £349. Originally announced at E3 2009 and having been in development since 2007, the lengthy silence left many thinking The Last Guardian was dead before it got off the ground. Lo and behold, a working demo of the game was actually playable at the expo this year, putting to rest any concerns and showing that it is, in fact, real. Details are unsurprisingly few and far between, largely due to concerns that too much information will spoil the intense narrative that this game has. The focus has been solely on a young boy and his relationship with a mythical creature named Trico. Great care has been taken in both the character world, with developers working tirelessly to create lifelike animations and emergent gameplay that stems from the primal nature of Trico. Slated for release on 25th October 2016 for PS4, this game is, for many, spiritual successor of the critically acclaimed Ico (2001) and Shadow of the Colossus (2005) games – both of which were made by the same director as The Last Guardian, Fumito Ueda. There will be a standard edition and a collector’s edition, which includes an artbook, soundtrack and statue of the character. Take the traditional Legend of Zelda franchise formula and throw in a healthy dose of open-world exploration – a picture for the latest entry in the storied series begins to form. This is by all intentions a huge departure from the traditional dungeon progression of previous games, and honestly, it couldn’t come at a better time. There are no illusions that the Wii U is struggling to stay above water. Nintendo has even begun to cut the console loose with the announcement of the NX – the next generation console to enter the fray. A release with as much weight and expectation as Breath of the Wild has could be just the thing to bridge the gap and, as the game is releasing on both the Wii U and the NX, it’s safe to assume that this is the intention of Nintendo. The demos shown and played at E3 2016 were running on the Wii U, which was a possibly missed opportunity to showcase the NX’s capabilities. Fortunately, the classic Nintendo charm was in full effect, giving fans plenty to think about with this unique entry. Freedom, control and a living world are the governing forces behind Breath of the Wild, all of which are tied together by an impressive physics system that stands to impact gameplay significantly. The Legend of Zelda: Breath of the Wild is currently set for release sometime in 2017. Another story of a game that’s suffered through a more than tumultuous development cycle. Square Enix are renowned for their long-standing Final Fantasy series of JRPGs, crafting intriguing worlds, gripping stories and loveable characters for over 20 years now. Recently, however, the last few instalments seem to have missed the mark with core fans, creating a difficult period of rebuilding for the Japanese gaming giant. Final Fantasy XV started life as a spin-off to the ‘every egg in one basket’ release of Final Fantasy XIII – a game that has 2 direct sequels already. It debuted all the way back in 2006 (10 years ago!) as Final Fantasy Versus XIII, with a CGI trailer showing the now-known Noctis and his magical sword-swinging teleportation abilities – yes, exactly that. The focus hasn’t changed, but like The Last Guardian, the platform has shifted over to the PS4 and Xbox One for concerns over power and the ever lengthening development time. Now with a street date of 30th September 2016, the verdict will soon be out as to whether this will be a triumphant return to form or a meteoric crash. We can only be hopeful. Death Stranding got an initial reveal, despite not even having entered actual production yet. This is the next game from industry veteran Hideo Kojima, who has led the direction of the Metal Gear Solid franchise until his sour departure from Konami. There’s very little to draw from what was shown, except that it’s really weird and it has Norman Reedus in it, which is good… We think? If you’re looking to actually scare yourself beyond normally acceptable levels, Resident Evil 7: Biohazard might be the ticket. This VR-only experience has already turned a few heads (and stomachs) with its intense horror-driven gameplay. This one will certainly be only for the truly brave, so think twice before putting on your PlayStation VR headset. The Elder Scrolls V: Skyrim is being given a massive facelift, courtesy of Bethesda Studios. The original was released in 2011 and is still played and modded actively to this day. The remastered version will bring the game up to date for this generation of consoles, and will also be a free upgrade for PC users that have the game and all DLC. It’s not a new experience, but will be a welcome return to a much-loved world.